A regional daily has celebrated the recent launch of a column which aims to give a better voice to its female readers. 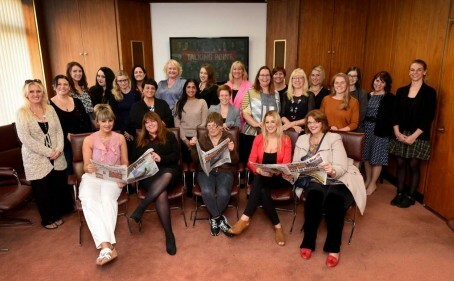 Wolverhampton daily the Express & Star invited contributors to its Talking Point column to its head office to thank them for helping the newspaper to carry a “female perspective on a daily basis”. The Express & Star says the column, which appears Monday to Friday in all editions of the paper, “gives women, who make up at least 50 per cent of our readership, a platform to share their views with readers each day”. Since its July launch the column has seen writers tackle topics from violence against women, pressure to marry and the breakdown of relationships to bucket lists, Love Island and glamping. Editor Keith Harrison said: “The Express & Star has a long history of being inclusive and we know we have a huge amount of women readers. Contributor Jade Secker, community fundraiser at Wolverhampton women and children’s refuge The Haven, said: “It’s great to see the E&S have recognised a gender imbalance in their writing team and that they are passionate and bold enough to bring about change, asking women of all backgrounds, ages, race and religion to contribute to the newspaper better reflecting the community and their audience.